Philippines Public Toilet Chronicles: Snippets of information about the Philippine public toilet. Toilet hopping from one place to another, in conquest for the finest and stinkiest comfort rooms around the Philippines. Snippets of info about public toilets in Manila and nearby provinces. "Killing time in search for the finest & worst public toilet in PH." Since 2012. 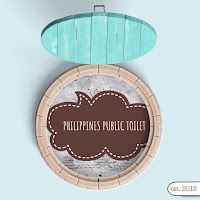 All photos and text used in this blog are owned by philippinespublictoilet.com, unless otherwise stated. Any reproduction, be it for personal or commercial purposes without the author's permission is strictly prohibited. If you intend to use any of the photos or text from this blog, please e-mail Green Dei at deiville.com(at)gmail(dot)com.